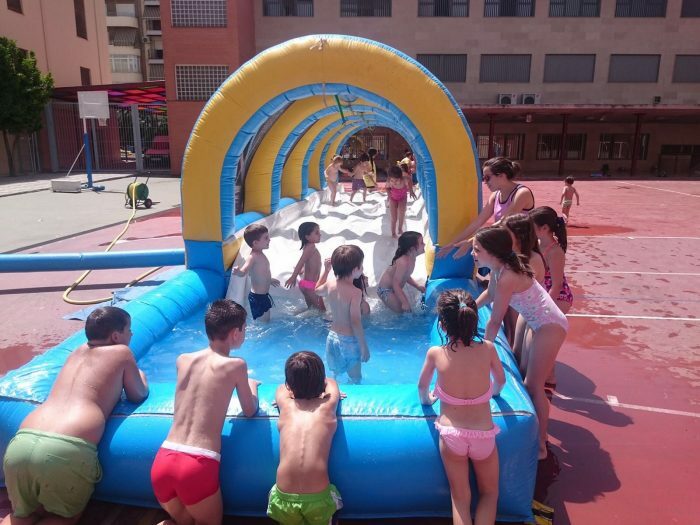 Summer comes, and with it, the end of the school year at Virgen de Gracia School. Classrooms are emptied for a few days to be filled again on the 26thof June. 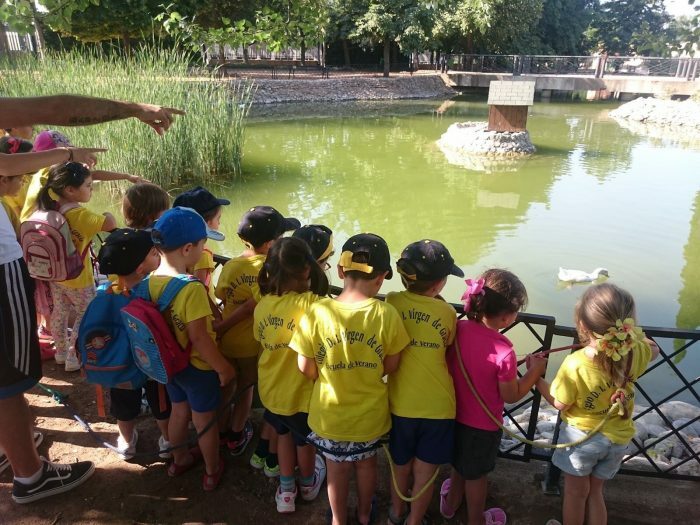 At school, we offer the possibility that the little ones go to our summer school in Granada. During the month of July, the students of the school will enjoy a multitude of activities. What activities take place in the summer school? The activities that take place in our summer school in Granada are very diverse. Children will learn through fun activities in which they develop social and personal skills. Pool activities, water parties, recreational activities, craft workshops, movies and cartoons, sports activities, etc. All this through a bilingual approach, where native teachers perform different activities in English without forgetting the elements of fun. With this variety of activities we want the student to have fun and learn. As a novelty, the summer of 2017, we launched a very special activity for children. We celebrated a Junior Masterchef Contest in which students could learn basic standards of hygiene or the use and application of staples. Which students can attend summer school? Summer school is designed for pre-school and primary school students. From the youngest to the twelve years old they will live a unique personal experience. Pre-school students will participate in games and storytellings in the early morning, instead, primary students will benefit fromphysical-sporting activities every morning to activate the body during the holiday period. What activities are carried out in English at this summer school? The leisure activities that take place at the school are guided by a bilingual teacher. In addition to these activities, films and cartoons will also be screened in English, so students can learn the language by having fun with their favorite movies or cartoons. What extra services does the school offer? In the summer school you have the before-school care serviceas an option. Here, as during the school year, students will be able to attend the school from 7:30 in the morning to provide parentswith their working day. In addition, we also offer the school dining room service. The dining room will be opened from 14:00 to 15:00. Do you feel like enrolling your child in our summer school? Print and fill out this registration form and take it to our School. For more information contact 958 26 08 16 and ask for Diego.